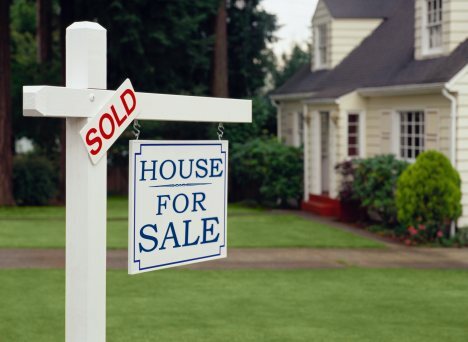 If you’re among those watching the real estate market and thinking seriously about buying or selling a house, you’re not alone. A recent survey by real estate website Trulia revealed that 78 percent of the renters surveyed want to buy a new home. Those strong national numbers reflect what members of The Holmquist Team are seeing in Chester, LongValley, MountOlive and the surrounding areas. The recent survey, called the American Dream Survey, was conducted by Trulia in May. It surveyed 2,205 homeowners and renters to see how people felt about housing after the rescission. In a word, they feel good. Despite reports that homes are shrinking in size, Americans still like big houses. Of those surveyed, 27 percent considered the ideal size for a home to be more than 2,500 square feet. Interestingly, Trulia says the majority of homes on its website are between 800 and 2,000 square feet. And while we’d like to have more homes above 2,600 square feet to show, the ones we have sell quickly and often close to the asking price. Buyers have definite ideas about what they want: 63 percent want a master bedroom, 56 percent want a walk-in closet, 50 percent want to make dinner in a gourmet kitchen, and whatever room they’re in, 35 percent want wood floors. If you’re worried about downpayments or mortgages, you’re not alone there either. Almost half (47 percent) of those surveyed worried that they wouldn’t be able to find the downpayment and another 25 percent are unsure if they’d qualify for a mortgage. Members of The Holmquist Team can help you find out if you can qualify and connect you with banks with a variety of special programs. More than half of those surveyed (61 percent) think home prices will increase in the next year and 58 percent think prices will soar to 2005-06 levels within the next decade. While predicting the market that far in advance is risky, home prices already are stabilizing and, in some places, beginning to rise. Whatever your opinions are, the facts are these: Well-staged and well-marketed homes that come on the market are selling within a reasonable time frame at reasonable prices. If you’re thinking about selling your home or buying a home, we should talk. A member of The Holmquist Team can help you explore the local market, determine what options will work best for you. Call us today at 908-867-7109 or by clicking here.